With summer having come to a close, we want to take a moment to wish our investors a happy fall and to share a few noteworthy developments in the latter half of 2017. Earlier this quarter, BENA Capital, LLC announced the successful acquisition of another multi-family residential property in Abilene, TX. We identified the Abilene asset as an attractive acquisition opportunity due to the property’s robust value-add potential and the region’s strong growth trends. Located less than ¼ mile from Abilene Christian University and two hours west of the Dallas/Fort Worth Metroplex – the property was brought to us by our broker in the area who knows we are an all-cash buyer. It is expected to provide 6% annual cash flow and return 50-55% within four years. Over the past three months, extensive value-add improvements have been made to the property. As those improvements come to completion, units have started to lease, with 48 prospective tenants interested in the three units remaining. With Tier I Markets peaking, we will continue to focus on Tier II and Tier III markets with resilient economies buoyed by employers and universities. We have set up strategic partnerships with a network of real estate brokers in a number of new markets where jobs and renter populations are growing. Rising home prices and mortgage rates continue to make home-buying less affordable and renting more attractive. This results in stable cash flows and long-term capital appreciation potential for investors who have the ability to leverage zero-debt investment models, such as the one BENA Capital offers, to tap into the multi-family niche. 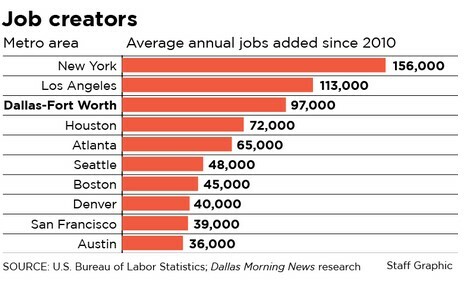 Home to more than 7 million people and growing, the Dallas/Fort-Worth area has added an average of ~100,000 jobs/year since 2010. Local leaders have made attracting large employers a high priority, and major corporations such as AT&T, American Airlines, and Lockheed Martin call the metroplex home. With the University of Texas at Arlington, Texas Christian University, and the University of North Texas also located in the region, there is no shortage of well-educated millennials eager to stay after graduation. The metro area surrounding Raleigh, NC has been one of the fastest growing in the country. Since 2010, the city’s population has increased ~15%. USA Today recently named Raleigh the third best place in the U.S. for business and careers, most notably in the technology and life sciences sectors. Nearby tier one universities with deep talent pools include NC State University, the University of North Carolina at Chapel Hill, and Duke University. They provide a solid foundation that continues to fuel innovation and prosperity in the region. Additionally, Red Hat (headquartered in Raleigh) and Citrix are both major employers in the area. Technology giants like these, along with Research Triangle Park (which includes neighboring anchor cities Durham and Chapel Hill), have been catalysts in the area’s continued revitalization and economic growth. Chattanooga proudly touts its “Gig City" badge. When the city built the fastest internet in the U.S., it attracted new businesses to the region. According to an independent study conducted by the University of Tennessee in 2015, this helped add roughly $865M to the local economy since 2010. With its 140-acre downtown “Innovation District” anchored by the Edney Innovation Center and its budding start-up scene, Chattanooga is reshaping itself as a technology solutions hub. Yousif Abudra is Managing Director - Real Estate Investments at BENA Capital. Sign up to receive BENA Capital's real estate investment insights and updates.